I won a bet today with a friend. I said that we would get at least one social media company that went public this year. It was an easy bet to win. Many of these social media companies, Facebook, Twitter, being the two big ones had been in the news for over a year with plans on going public. But today, LinkedIn, was the 1st to pull the trigger. I’m on all 3 sites (as a PR student it is quite necessary) and use them almost everyday, so I I’ll tell you what I think of all 3 of them as focus on Facebook and Twitter my views on them having an IPO (initial public offering or simply being listed on the stock market) in the future. LinkedIn is an interesting case. Of the 3, it is the most professional and I appreciate that aspect. Apparently so do a lot of my peers. The past couple months it seemed every week, I have been adding old colleagues at a feverish pace, to keep in touch with them all on LinkedIn. Besides this though, I haven’t used or rather dived into LinkedIn as much as I’ve liked to…yet. But it’s use is evident. It is a networking tool, with a global network, a key point in this new reality of economies being so closely tied together with each other more than ever. I have heard that their groups, which I am a part of about 10 related to PR/communication, really makes LinkedIn a valuable source in organizing people for business development discussion. This is definitely something I want to explore more. When I put my investor hat on and seeing how LinkedIn quickly doubled from its IPO price of $45 to an intraday high of over $122/share, to a close of a healthy $94.25 with over 30 million volume, this is positive news for their company. Obviously it won’t do 30 million everyday but impressive nonetheless and good on them for this amount of initial support for their target valuation. Facebook is a different story. Their IPO will no doubt be a top news item, but I’ve grown rather tired of Facebook, as a company, to be honest. Two big reasons are one being the growth of spam on that site, and two the messaging system or Facebook chat. Spam has gotten so bad I find myself filtering so many people, this filtered list is becoming the same size of my hundreds of friends. The messaging system, Facebook chat is a mess. It is that simple. Throw in the recent bad press of Facebook using world renowned PR firm Burston-Mueller to smear Google’s reputation, and you really see that maybe the movie “The Social Network” really wasn’t that far off in portraying the company. Not helping my career or other PR professionals when we have to deal with being labelled “spin doctors”, as the profession is so commonly wrongly described. All of these types of "soft feelings” I’ll call them, because they pull on my emotional attachment in regards to Facebook. Throw in their just insane valuation (roughly 70 billion market value) and I would have a hard time, going for this in an IPO situation. Twitter I like a lot more. It has half as many people on its site (300 million) as of today that Facebook has. (Yes it was big day for social media if you’re following). It has become the most efficient way to break news, as evidenced by the story of a journalist Pakistan directly or indirectly breaking the news of the U.S. Navy Seals Team Six killing of Osama Bin Laden. It’s fun as well. Some of the people I follow strictly use it to ply their comedic antics and this is accepted and adds to Twitter’s fun factor. Personal views are encouraged, which makes for great back in forth between celebrities, media personalities, and just regular people like you and I. Twitter has a broad appeal, in both professional and personal use, making it a great blend, more so than LinkedIn which is more purely professional and Facebook which is more purely personal. This makes it a more attractive target for me if I were to pursue it in an IPO. Being in the field of PR, it is exciting to see how social media is growing and impacting everyone. In terms of these companies. whether they become sustained profitable entities, without the fear of them imploding is anyone’s guess. I would rather invest, as I have done so, in hard assets (gold), dividend funds, and equities. Of course, those that made a quick double and then some on LinkedIn today would argue to the contrary. However, herein lies an obvious, although key point. Regardless of whether my predictions are right or wrong, for both my stocks I’m invested in or those that invested in LinkedIn today, you only make as much money in investing as the amount you of money you put on the line. As was proven today, with the 30 million shares traded, this has occurred in such an impressive manner, which LinkedIn hopes is just the start of great things to come for them as a company. Poor PS3 owners. I can’t help but have a little bit of delight in your misery. You’re locked out of online gameplay, while the rest of us serious gamers (Xbox 360), can continue to delight in late night Call of Duty: Black Ops play. A fairly large contingent of my friends who demanded I get a PS3 are now left with nothing to say. I guess hacking a network could happen to anyone could it? Of course. Tell me that after I’m done with these new map packs, I’m just too busy right now to care. Give a credit to PS3 users to use towards free online content or something in the large PSN (PlayStation Network) world. 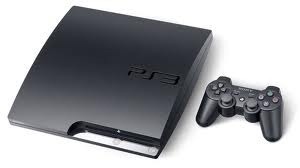 People need to be rewarded for their investment in you, and even through this frustrating time, it’s time to step up and give them reason to continue to support the PS3 brand. Some of the worst things when a PR nightmare like this happens is when the responsible party doesn’t take the blame. It may not be your fault, but as the face of the product, you must own up to it somehow. To let the situation become a spiralling mess of uncertainty with no one taking responsibility, doesn’t help people have faith in your product. Management should have owned up immediately, rather than go silent. Sony is a great brand. I’m writing this on a Sony Vaio laptop. I believe in your brand. You also gave us the first portable MP3, the Sony Walkman. People love your products. So by just staying the course people will realize that yes you made a mistake but you have a good history with other products and in your brand in general, which will help to keep brand loyalty high. Good brands don’t just die. I remember people saying they would stay away from Toyota forever right after they had their major automotive recalls a while back. Last time I checked they were driving their Camry’s around the neighbourhood. Like Toyota, Sony has a lot of name power, along with this being (I’m assuming) a minor blimp in an otherwise impeccable resume. There is light at the end of the tunnel. In fact, I should actually be getting a PS3 quite soon…funny how things work, isn’t it? It was a little over a year ago when I was introduced to Esprit by a friend. He was adamant I check out this store with him, so we went into their retail location at the local mall and I was impressed with what I found. European style men’s clothes at affordable prices. Shopping is really enjoyable when good style and great prices go together, but sometimes getting to the mall is the hard part. After work, I’m not too keen on staying in the downtown core and shopping. So what’s better? E-shopping. So that’s what I do. 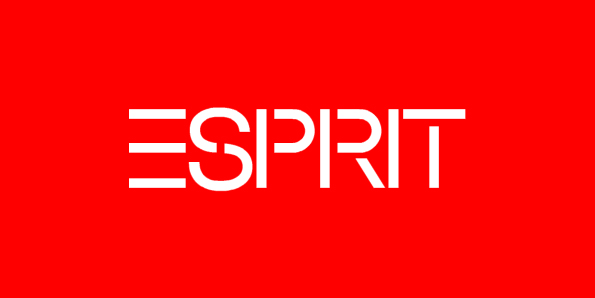 E-shop on Esprit. And I have to say I’m pretty addicted to it. Giving my e-mail to Esprit was probably the worst decision I’ve ever made. They send me an e-mail about once a week, with sales allowing me to save 30 – 40% . All I have to do is put in the a promo code, fill up my cart, and checkout. They don’t get me every week, I’m not that rich, but they usually get me once a month. What makes me buy so much from them? It is all about their product, European style clothing, which has made me completely tied to their brand. Good brands become personal. You adopt it, defend it and sell it to others. This exactly what Esprit is to me. I love their clothes (adopt), stand tall in them and say the European style suites me the best (defend) and I’m able to sell it to others. For example, once I really nice striped long sleeve sweater one size too big from their online store, so I gave it to my brother. He asked where I got it and I told him Esprit. Now he is aware of the brand and is able to vouch for it as being good. I’ve converted him into a walking billboard of the Esprit brand. Too bad I won’t get paid from them for that. Although e-shopping is fast and efficient on Esprit, paying the nasty duty is something I could live without. However, more importantly, the thing is is sometimes I miss going into the store and experiencing what it was like the first time I discovered the brand. A brand is about a relationship.That experience of going into the store that first time with my friend, was when I started a relationship with Esprit. The staff were friendly, and I walked out with a bunch of clothes knowing I made purchases that fit my budget. Plus, sitting on your computer buying stuff in your basement isn’t as fun. You miss out on all the cuties at the mall. And you can’t blame me for that can you?